Me and my brother already had plans to head to the western Visayas island of Boracay right after our US Immigrant Visa interview in Manila. We did not book any rooms. I was hoping that one of the resorts would respond to my sponsorship request. But a day before departure, there was no response. So we headed to Dizon Dy Worldwide Travel Express along U.N. Avenue in Manila's Ermita District. 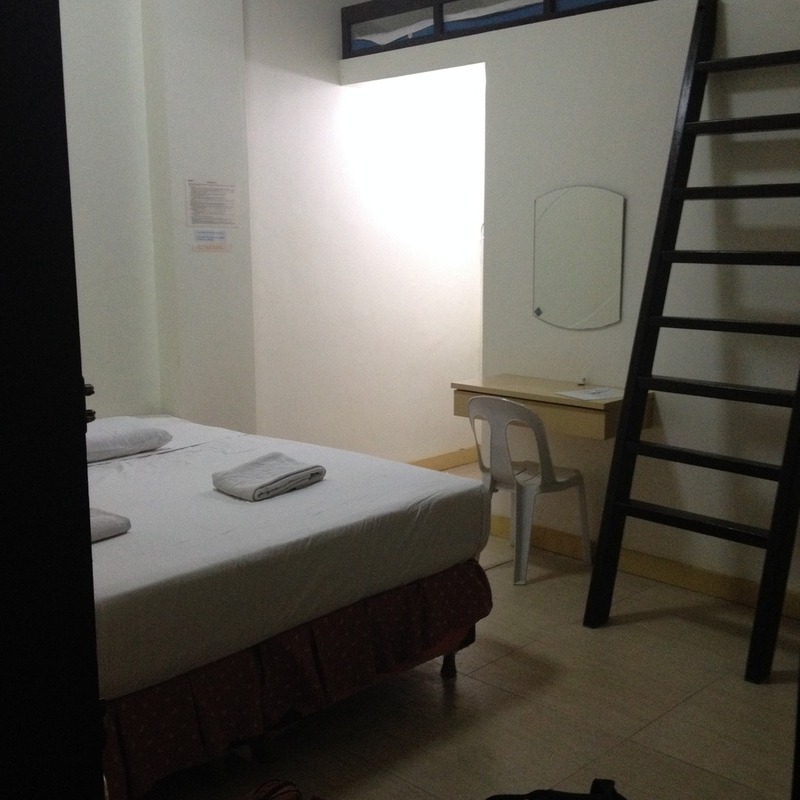 We book our rooms for the two nights that we will be in Boracay through them. 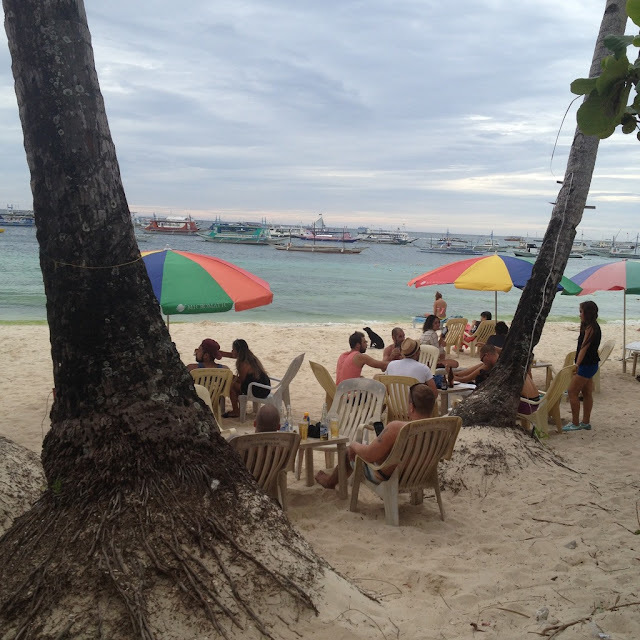 We had no clue about how things work in Boracay. There was also little research done. We were mostly preoccupied with preparations for our interview while in Manila. And because we were hoping that at least one resort would sponsor us, we had to book almost at the last minute when no resort responded to my emails. The staff at Dizon Dy suggested Arwana Hotel and Restaurant in Station 3. We readily agreed. We did not have many choices anyway. The room we had at Arwana Hotel and Restaurant was decent. It had a queen size bed, a television set, a small closet, and a small table. At PhP 2,700 a night, we felt that we could have had a better accommodation. But as it is Boracay Island is really a ridiculously expensive place. The floor drain on our bathroom was clogged. Our request to have it fixed fell on deaf ears. After using the bathroom once, it gave out a weird smell. That persisted until we checked out. The window locks were broken . We were somehow concerned about the security of our belongings when we went out for a walk. 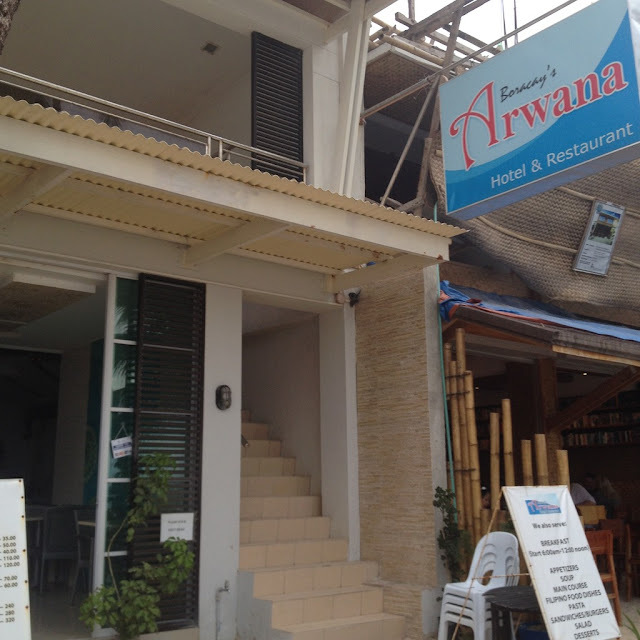 Although Arwana was located at the beachfront, we had to pass through a narrow alley beside their restaurant to access the building where our room was. We did have some view of the sea. Yet we hardly saw anything from the veranda as our view was somewhat blocked by a few buildings. The breakfast served to us was okay but nothing extraordinary. 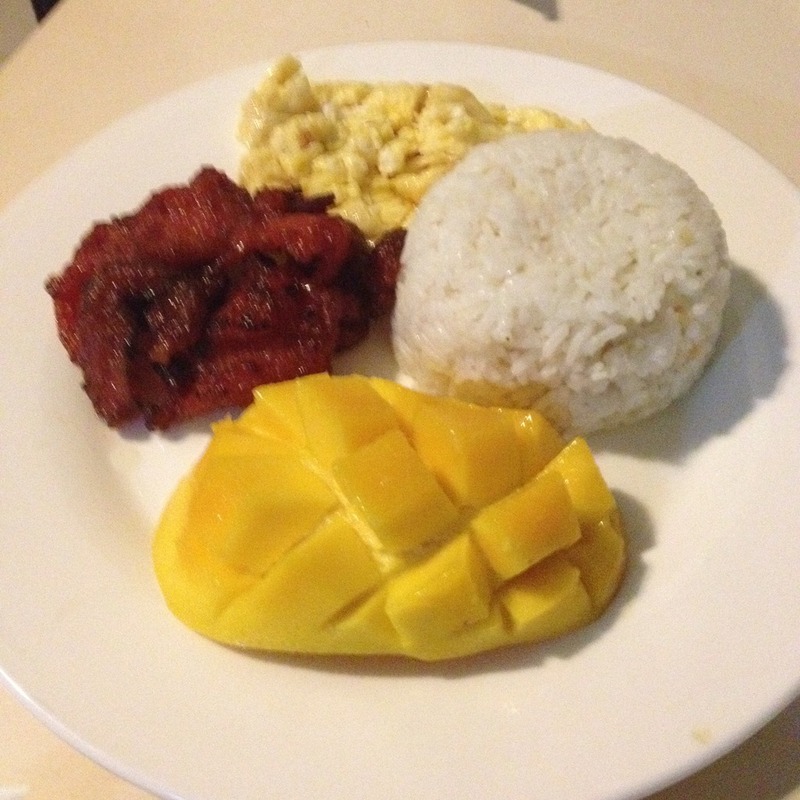 Fried pork tocino with scrambled eggs, garlic fried rice, and half a ripe mango fruit. The mango fruit they served was really sweet so that's one really good point. The watermelon juice they served us as welcome drinks were also refreshing. Overall, we got a bed to sleep at night which was all that we needed anyway. But on our next visit, we will definitely stay at a cheaper hotel that is not necessarily located on the beachfront. Because anyway, everyone is free to frolic in the beach even when staying at a far away hotel.